We will only collect information about you given by you when you request our publications. We will always let you have a copy of all personal information we have about you should you request it. You are able to update and amend your personal information at any time through this online subscriptions portal or by contacting us at mailing@fleetworldgroup.co.uk or by calling (+44) 1727 739160. We collect and store information about our readers so that we can distribute our magazines and inform them of offers, products and services (including offers from third parties through our services) which may be of interest to them, to help us improve and personalise our services and any services provided to you through our website and to provide information about us and the other members of our group of companies. We may disclose information obtained from you to third parties, including to countries outside the EEA. These countries may offer differing levels of protection of personal information, not all of which may be as high as in the UK. In certain circumstances we may need to disclose information about you if you breach the Terms and Conditions or if required to do so by law or any Governmental body. Keeping your information secure is very important to us. However, no data transmission over the Internet can be guaranteed to be totally secure. As a result, whilst we strive to protect your personal information, we cannot ensure or warrant the security of any information that you send to us whilst it is being sent, and you send such information at your own risk. This site contains references to third parties and their websites. We are not, in any way, responsible for their privacy practices or the content of their websites. In the UK we operate and are registered in accordance with applicable data protection legislation. The practices outlined above represent current data protection practices. To keep up with rapid technological change we may from time to time review and revise these practices. The UK’s leading fleet industry title and its circulation covers virtually every major fleet operator in the UK. 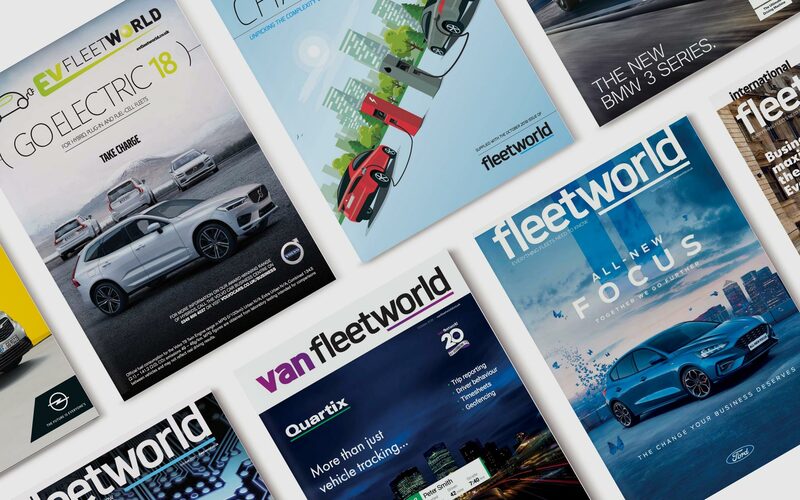 Fleet World is the only title in the sector aimed specifically at director-level fleet decision makers and the magazine offers an unparalleled editorial viewpoint on the key issues facing the fleet industry. © 2019 Stag Publications Ltd.